Broadway.com Audience Choice Award Noms Announced; Cast Your Vote! Your nominations for the 2016 Broadway.com Audience Choice Awards are in and Lin-Manuel Miranda's smash hit Hamilton garnered a massive 27 nods, breaking Spring Awakening 's 2007 record of 21. The revival of Noises Off received the most nominations of any play, with six. Voting will end on May 4 at 5PM ET. Winners will be announced shortly after. Actors are eligible for multiple categories, and School of Rock's Alex Brightman led the pack with four nods. Meanwhile, screen superstars Keira Knightley (Therese Raquin), Jessica Lange (Long Day’s Journey Into Night), Lupita Nyong’o (Eclipsed), Michelle Williams (Blackbird), Jennifer Hudson (The Color Purple) and Saoirse Ronan (The Crucible) all made the shortlist. 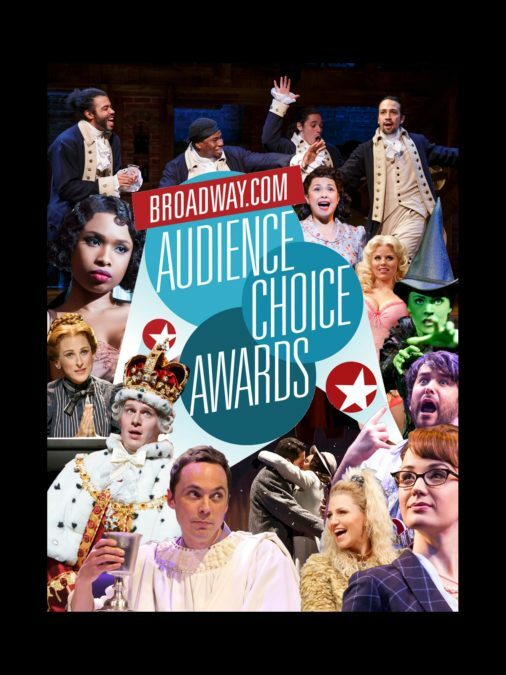 The Broadway.com Audience Choice Awards are the only major theater awards voted on by Broadway’s biggest cheerleaders: the fans. Shortly after its launch in 2000, the editors of Broadway.com realized that the Broadway community was missing an award from the people: the actual theatergoers who fill the seats, root for the stars and keep Broadway alive. Polls are now closed. Thanks for voting! See below for a full list of nominees.